Former Central Catholic running back/defensive back Dawaiian McNeely signs his national letter of intent to play football at the University of Wyoming, Wednesday, Feb. 6, 2019, at Bonsu Elite Athletics in Ceres, Calif.
MODESTO, Calif. — Dawaiian McNeely, who starred for Central Catholic's football team and helped the Raiders reach the Sac-Joaquin Section Division II championship game, on Wednesday signed a national letter of intent to play for the University of Wyoming this autumn. But in choosing his future school, he also made a decision about his current school. Or, rather, his former school. 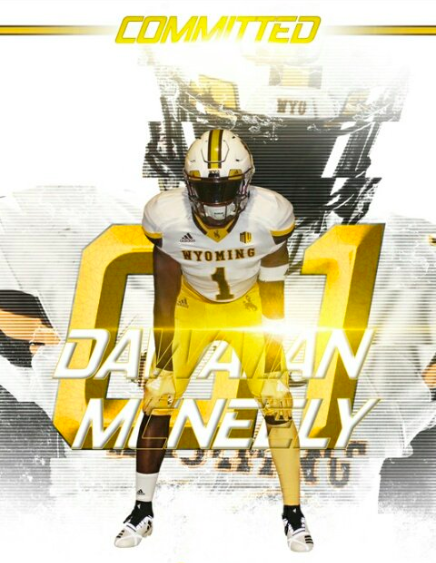 Running back Dawaiian McNeely has committed to play football at Wyoming. McNeely told FrontRowPreps.com on Wednesday that he has left Central Catholic and enrolled at Central Valley High School in Ceres, where he started classes Thursday. McNeely and his family are disappointed by confusion surrounding the two-way star’s school transcript, which they believe scared off some college recruiters. But by taking additional online courses, McNeely boosted his GPA to 2.34 according to the family, and was eligible to sign on Wednesday. Nevertheless, he decided to part ways with Central Catholic after three and a half years at the Carpenter Road campus. “Before today, we had already planned to take him out of Central Catholic,” said McNeely’s mother, Kameelah McNeely. “(Wednesday) was going to be his official last day. He’s starting there (Thursday). That was the last straw. We’re not going to let anybody dictate his future. When contacted to address the confusion, Central Catholic released a statement saying, "We are unable to comment on confidential issues regarding our students." McNeely is projected as a running back for Wyoming, which plays in the Mountain West Conference. 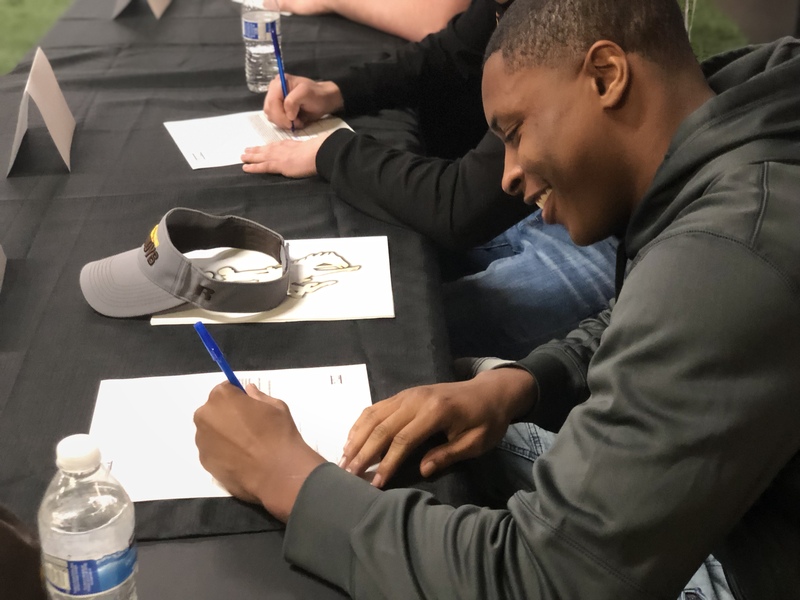 “It was really just the best fit for me,” said McNeely, who was at the Central Catholic signing ceremony at noon, but decided against participating and actually put pen to paper at Bonsu Elite Athletics in Ceres. 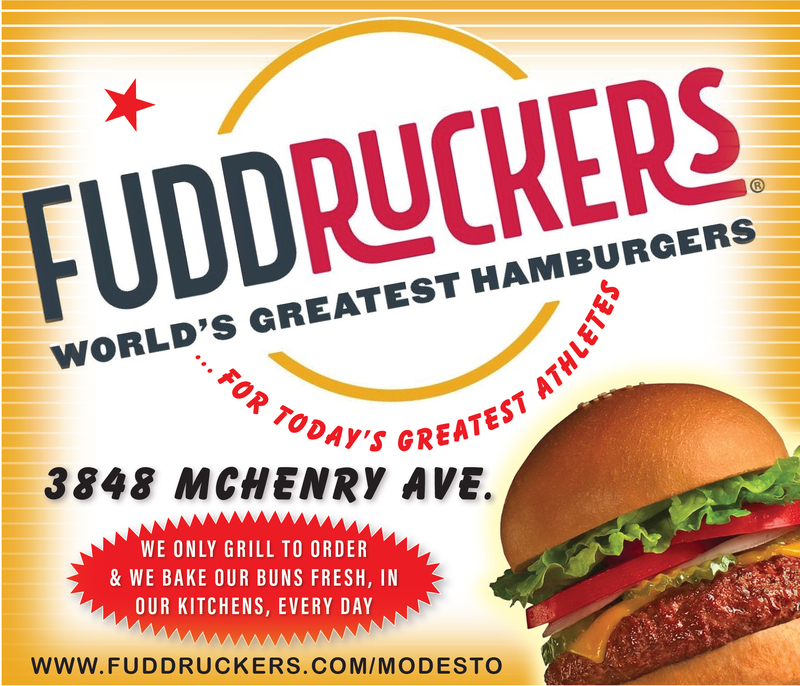 “When I took my visit, that was the first visit I ever took, and it was just special, really. Just community, family … everything was right."